I’m excited to have another new project going on these days. 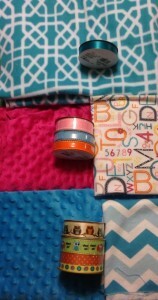 A friend took the taggie blanket I made for her son to entertain her new baby daughter at brother’s Kindermusik class and the teacher loved the crinkly toy! She special ordered some from me to give as gifts to new babies born in her community. 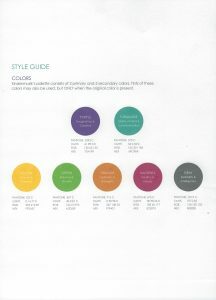 It was fun to take her logo and color palette when shopping and to research what sort of label to make. Melody at Mad Mad Graphics created an iron on label that will highlight the company name. 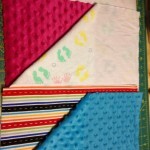 Joann’s had the perfect minky and flannel colors. 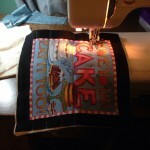 Now it’s up to me to sew the gifts! 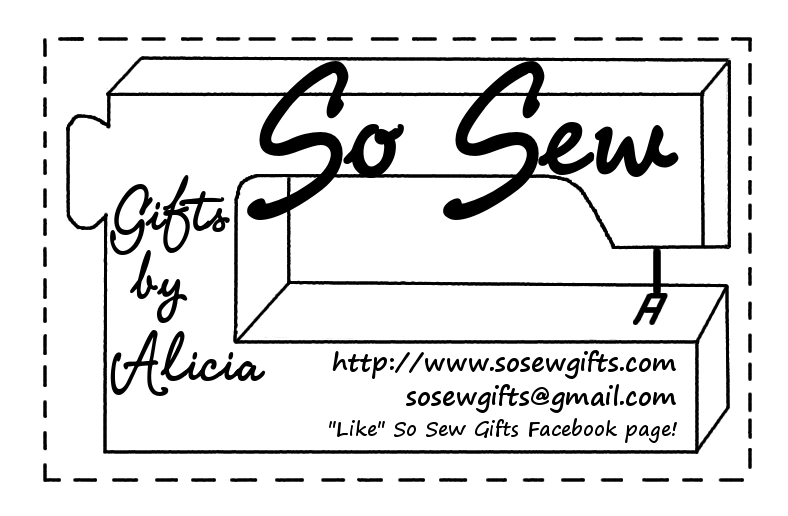 Melody also created a version of the So Sew Gifts logo for another label I can use on other projects. Fun! 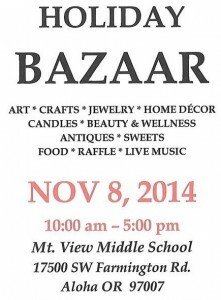 Mountain View Middle School in Beaverton is hosting a Holiday Bazaar again this fall. I’ll have a booth there for both my So Sew Gifts and Demarle at Home products. Hope to see you there! 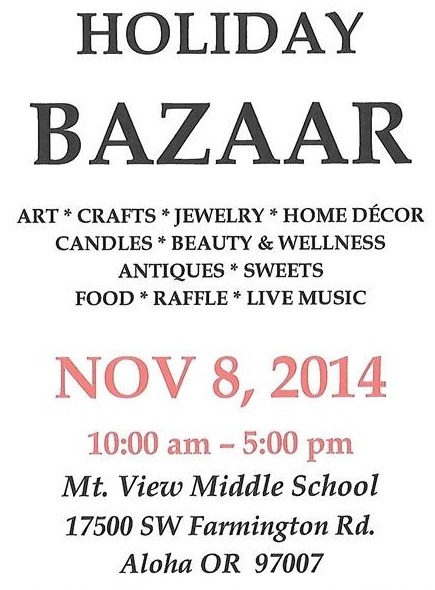 Update: It turned out that I didn’t attend the bazaar this year. Instead, I spent the day with Aaron and his family. 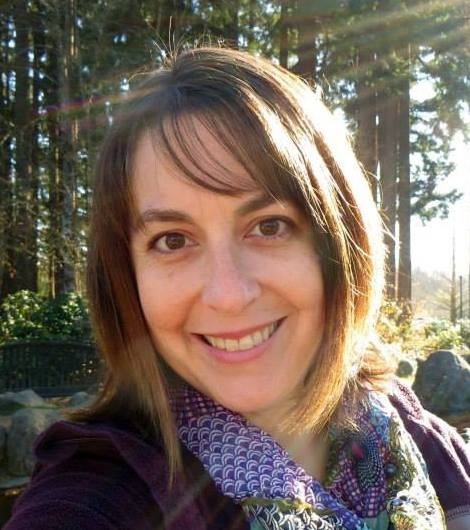 His lovely older sister Kira passed away Saturday night from the effects of cancer. On Friday night, I made this blanket to take to her…it was much more meaningful than anything I made to sell at the bazaar. 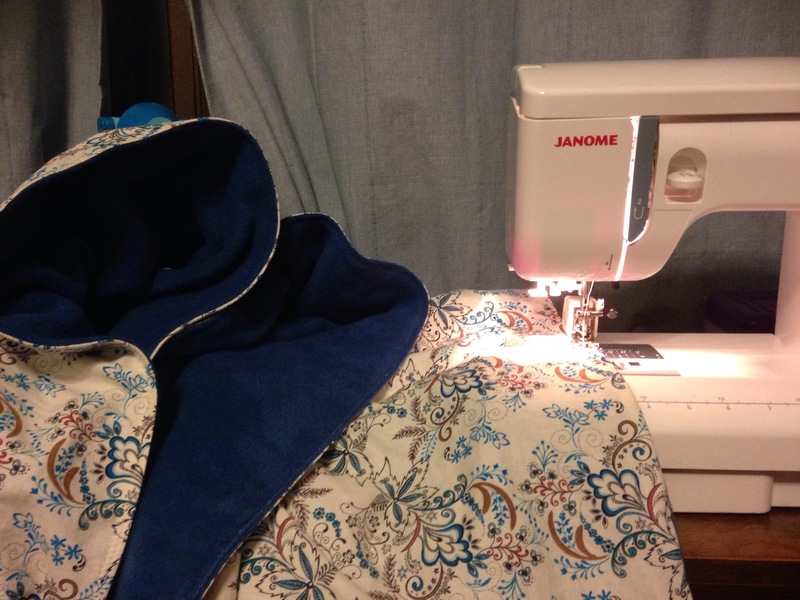 Her sister Ambika had suggested making a blanket for her or others who were staying at the hospital, and I had fabric that was intended to make her headscarves plus matching blue fleece. So I thoughtfully created a simple blanket and took it to her that morning, covering her up with love in my own way. 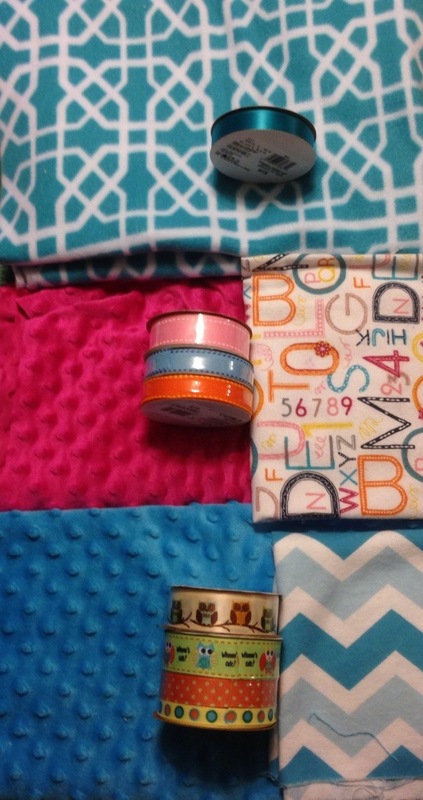 A friend asked me to make a baby shower gift and another friend at work is pregnant, so it’s the perfect opportunity to learn to make Taggie blankets. Two colleagues at work said they’re invaluable for their newborns…soft, easy to tuck in the carseat or attach to a stroller, babies love playing with or sucking on the textured ribbons. So my friend and I went shopping at Joanns and found these cute ribbons along with matching minky and flannel fabrics to make the Taggie blankets. On to find inspiration/information/patterns online. For this project, I used a few sources. Minky fabric is tricky to sew because it’s so stretchy. 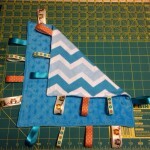 This site gives great tips about sewing with Minky. 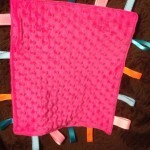 Taggie Blankets are popular so when you look on Etsy or Pinterest, you’ll find lots of inspiration. I used this tutorial which shows each step of the process. 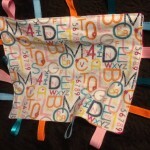 First taggie is for a friend who is a speech language pathologist (hence the letters on the fabric). She’s having her first baby girl…congratulations! 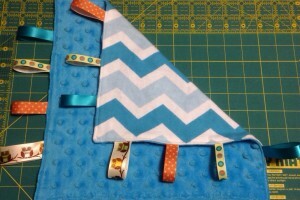 Second taggie is for a friend to take to a baby shower…and it’s a boy! Please contact me with any project ideas, special orders, or questions. Visit the shop to see what products are currently in stock for sale. 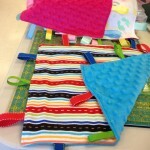 Check out the sites I like page for links to inspiring books and blogs, sites of local quilt shops, and other ways to get connected in the sewing community!